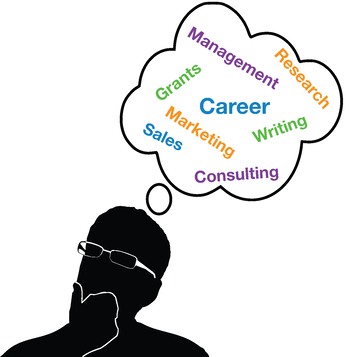 When preparing to graduate from university, many students are confronted with the question ‘what now?’ This is often a hard question to answer if you plan on leaving academia, but don’t quite know what you do want to do or even what careers are available to scientists. It is all too easy to get tunnel vision when working towards a specific goal, and when you realise that your goal might not lead to a career you actually want, you can feel lost. Use this post to explore the wide range of careers available to scientists and open your eyes to the many opportunities available to those who are scientifically minded! Will you be sitting at a desk all day or be on your feet constantly in a lab? Will regular travel be required or will you stay in one location? Will the job require public speaking? Will you be leading a group or working as part of team? Will you be coordinating projects? Do you need computer programming skills? Other things to consider are wage, opportunity to advance, and how many jobs are normally available (as sectors such as forensics currently have too many applicants compared to the number of available roles). Before you begin to apply for a job, it is useful to search online job websites to see what requirements or qualifications are needed for the role, as this will give you an idea of what additional training you might need to obtain. You'll also need to think of other aspects of yourself that make you stand out. For every role you need to show that you have the relevant skills and experience.You might not normally think about it, but hobbies and volunteer experiences, as well as work history can really show that you have some of the abilities listed above. Showing that you are willing to exercise these skills outside of a formal work environment also shows that you are passionate and capable. For example if the job involves traveling, showing that you are a highly organised and experienced traveler by citing specific examples, may help you get your foot in the door. Match the job's requirements to the content in your Resume and Cover Letter. Include any relevant job specific ‘buzz words’ to ensure recruitment agencies and employers put your resume forward for the role, because it ‘ticks all the boxes’. Once you’ve assessed your skill set and done your research, it’s time to start sending out applications. Check out our other career posts for more specifics on some careers and to find advice on crafting the perfect application.